A Virunga park ranger seen in 2010. 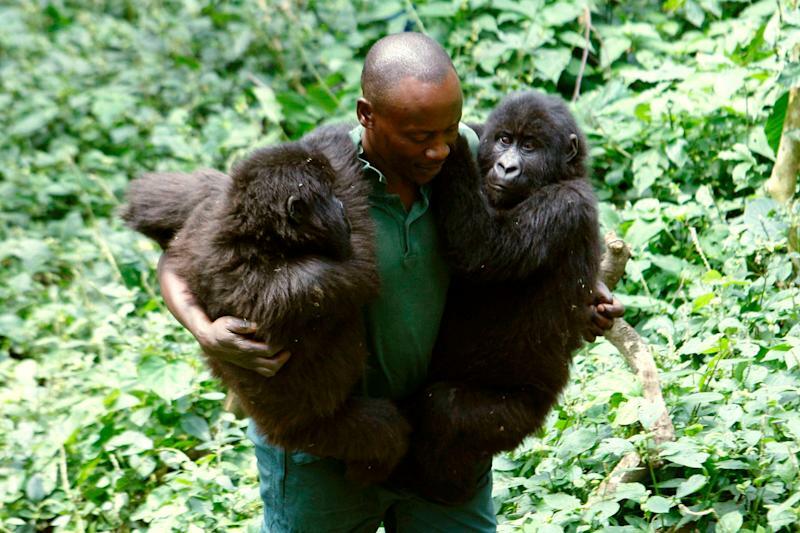 Rangers are often killed in the line of duty defending the region's critically endangered mountain gorillas. Five wildlife rangers and a driver were killed in a militant attack on the Congo’sVirunga National Parkthis week as they guarded the region’s critically endangered mountain gorillas. The park employees, aged 22 to 30, were ambushed and killed in what wildlife officials said was the deadliest such attack in recent history. Another ranger was injured. At least 170 rangers have been killed in the past two decades. Officials blamed a militant group known as the Mai Mai. Virunga, Africa’s oldest national park, is home to about half of the world’scritically endangered mountain gorillas. Park rangers are tasked with defending the great apes and hundreds of other species from habitat destruction and bushmeat poachers, often working forabout $250 a monthand with limited supplies. Rangers are routinely injured or killed during confrontations with armed locals attempting to loot trees for charcoal or hunt wildlife. De Merode himself wasshot by unknown attackersin a 2014 ambush, but survived. The sprawling park is protected by more than 700 rangers, many recruited from local villages. Their struggle against poachers and commercial oil exploration was chronicled in theNetflix documentary, “Virunga,” in 2014.